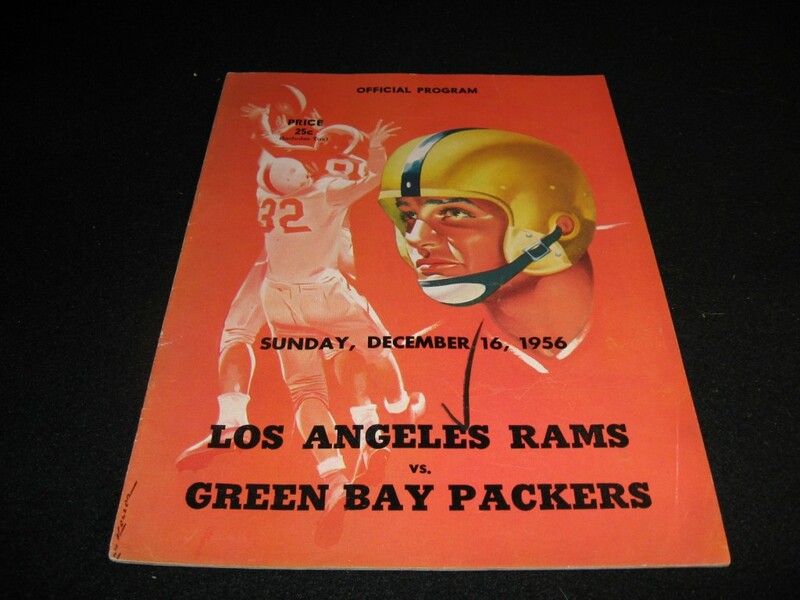 Los Angeles Rams vs. Green Bay Packers Game Program. 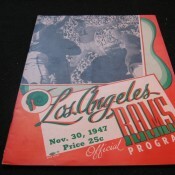 Game was played December 7, 1952 at the Los Angeles Memorial Coliseum. Excellent Condition. Nothing loose or missing-no writing-lays flat with sharp corners. Tough to improve on this example. 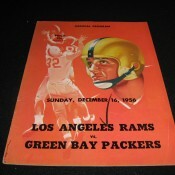 Los Angeles Rams vs. Green Bay Packers Game Program. 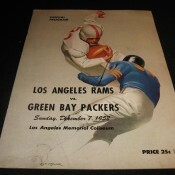 Game was played December 16, 1956 in Los Angeles. Program in very good condition. Nothing loose or missing-no writing-lays flat with good corners. Light vertical crease left center of cover-light wear throughout. 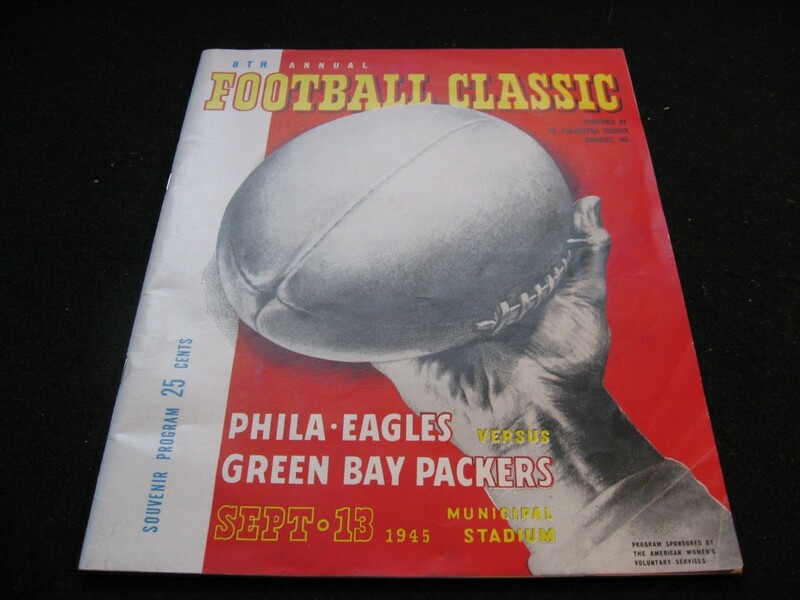 Philadelphia Eagles vs. Green Bay Packers Game Program. 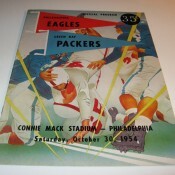 Game was played Sept. 13, 1945 at Municipal Stadium in Philadelphia. Program in Excellent Condition-nothing loose or missing-no writing. Lays nice and flat. A few short diagonal creases on front cover at lower right corner. 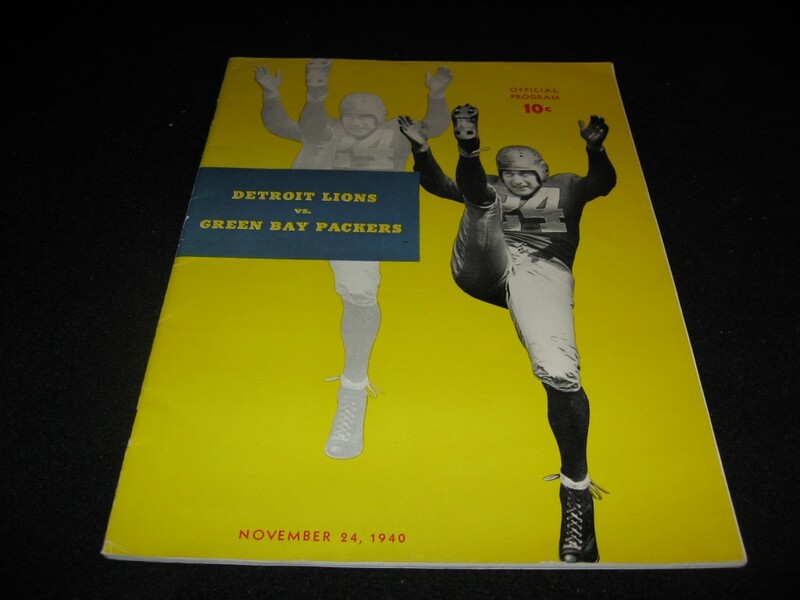 Detroit Lions vs. Green Bay Packers Game Program. 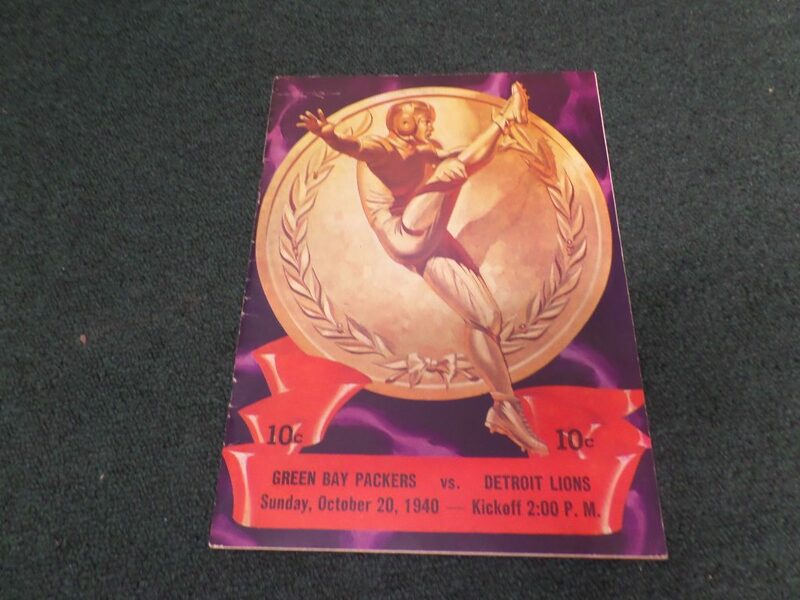 Game was played November 24, 1940 in Detroit. Program in Excellent Condition-nothing loose or missing-no writing. Program lays nice and flat with sharp corners. Light wear to cover. 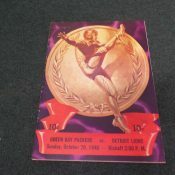 Also included is a Detroit Lions Postcard that came with the program. 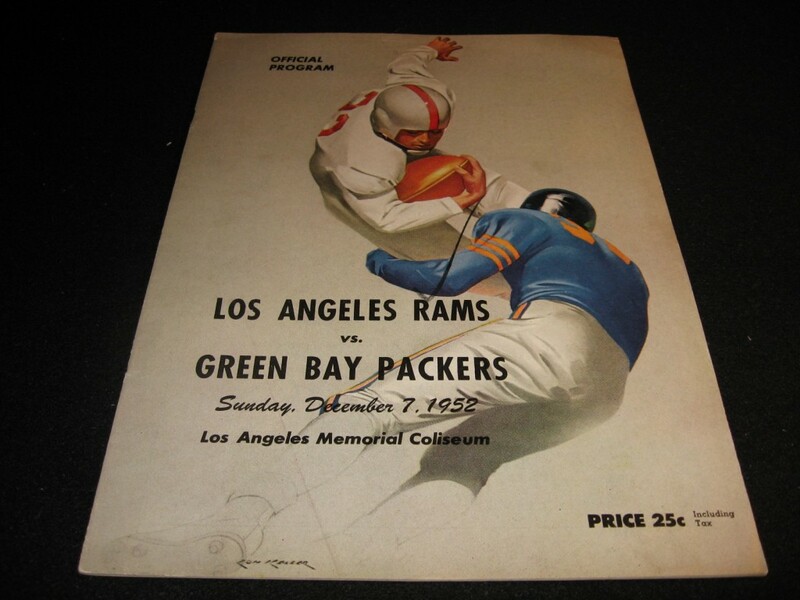 Los Angeles Rams vs. Green Bay Packers Game Program. 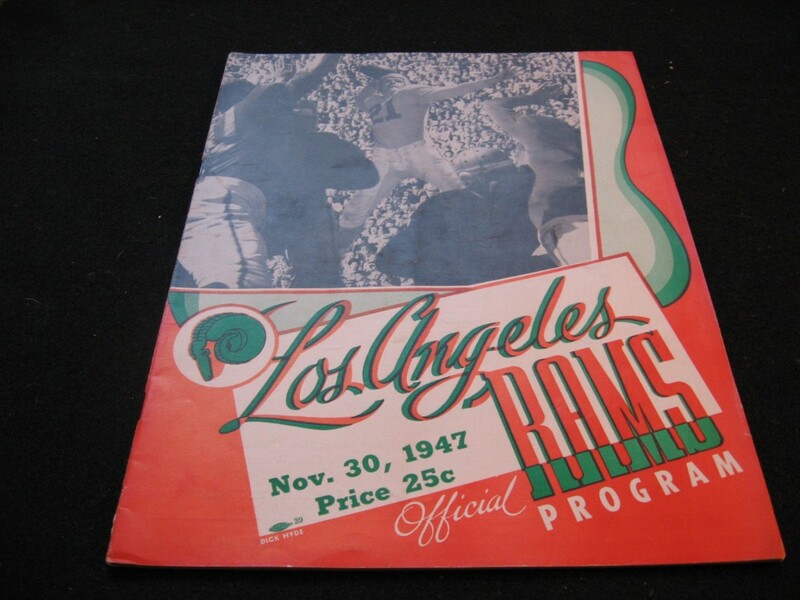 Game was played November 30, 1947 at the Coliseum in Los Angeles. Program in Excellent Condition-Nothing loose or missing-no writing-sharp corners-lays nice and flat. Tough to improve on this example. 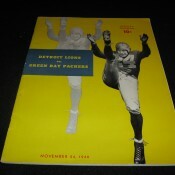 Scarce Pre-War New York Giants vs. Green Bay Packers Game Program. 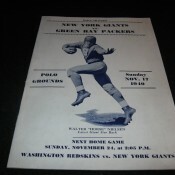 Game was played November 17, 1940 at the Polo Ground in New York. Program in Excellent Condition-nothing loose or missing-no writing-lays nice and flat. Hard to see 2″ diagonal crease at lower right throughout the program. Very light wear from age or storage. 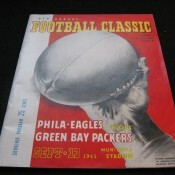 Philadelphia Eagles vs. Green Bay Packers Game Program. 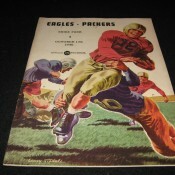 Game was played October 13, 1946 at Shibe Park in Philadelphia. 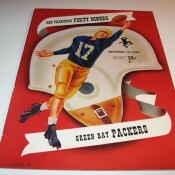 Program in Excellent Condition-nothing loose or missing-lays nice and flat with sharp corners. Final score in small numbers written in blue ink on front cover. 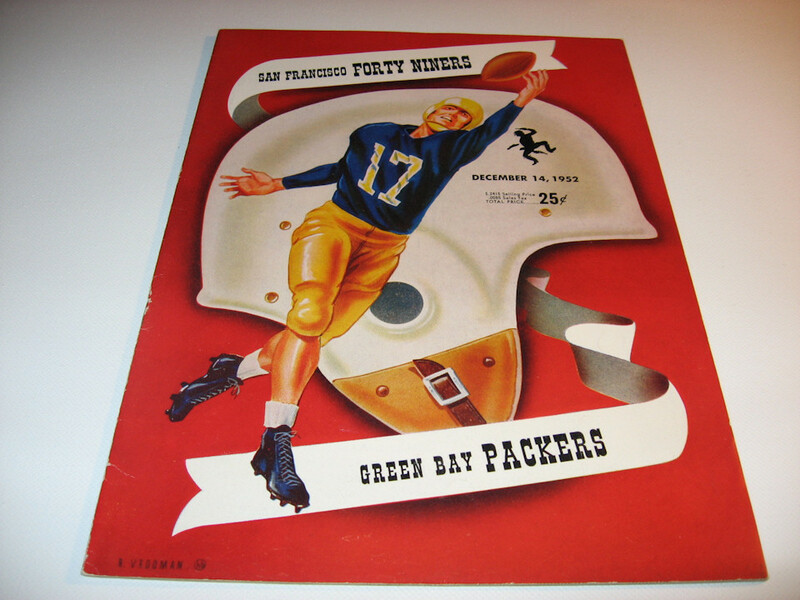 Green Bay Packers vs. San Francisco 49ers Game Program from Kezar Stadium. 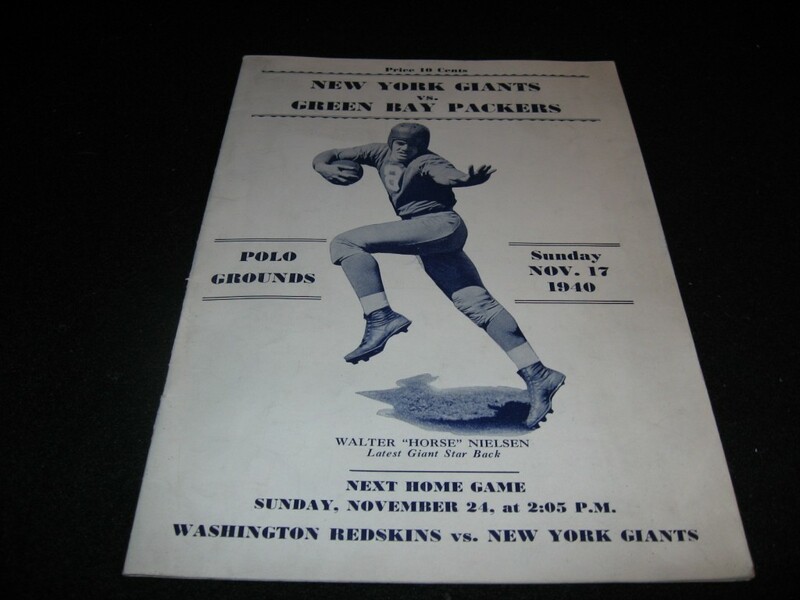 Played December 14, 1952. Excellent Condition-slight creasing on back cover-final score in pencil on center page. 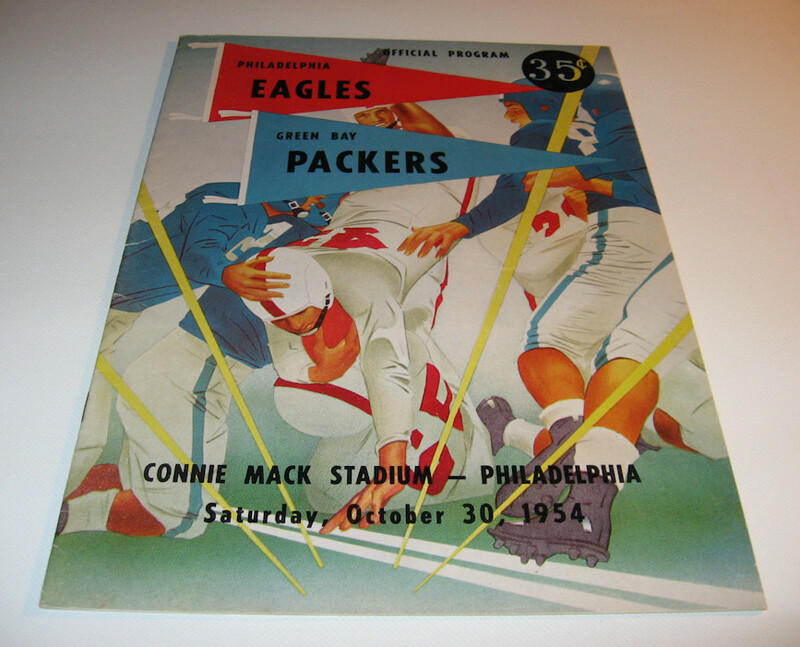 Green Bay Packers vs. Philadelphia Eagles Game Program from Connie Mack Stadium. 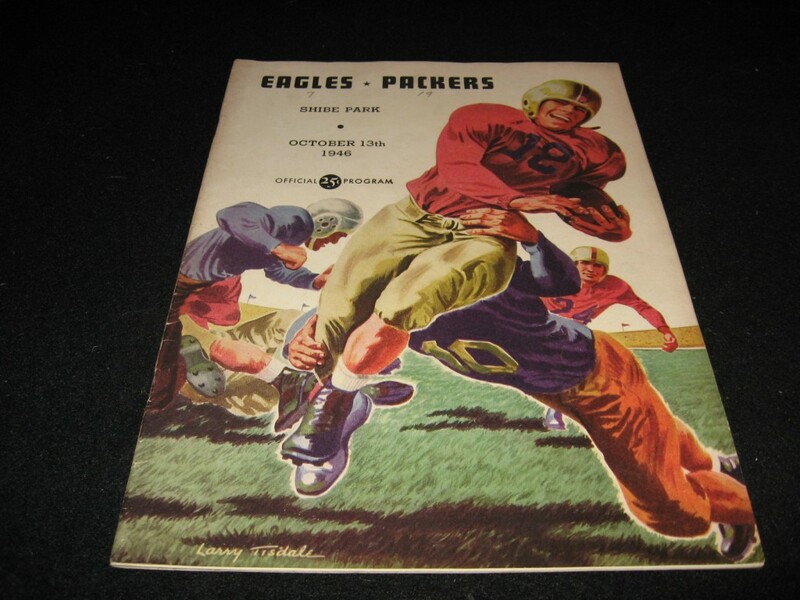 Played October 30, 1954. Near Mint Condition.